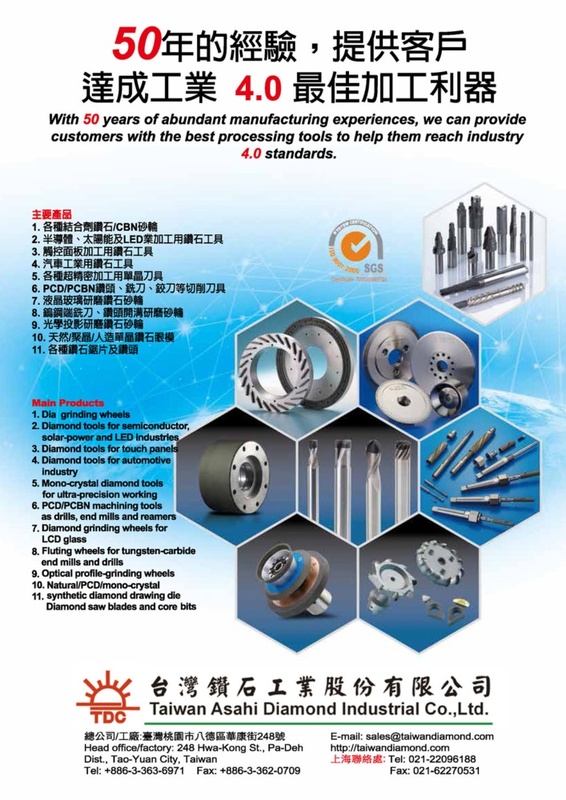 Taiwan Asahi Diamond Industrial Co., Ltd. was established in 1967 and is a pioneer in the manufacturing of diamond and CBN grinding wheels, cutting, sawing and turning tools in Taiwan. We cooperate with the largest diamond tool manufacturer in Japan, Asahi Diamond Industrial Co., Ltd and introduce new manufacturing technology from abroad. We continue to develop new products to meet the production needs of local and foreign companies. Upholding our philosophy of "a workman must first sharpen his tool if he wants to do his work well", we cooperate with the government in their efforts to raise the technological standards of precision industry in the country actively and accelerate improvement of industrial structure. We make every endeavor possible in the promotion of industry upgrade. Many industries need diamond tools for grinding, cutting, trimming, drawing, drilling, molding, pruning and measuring uses from traditional to high-tech industries. Star industries such as semiconductor, image display, digital content, optical, biotechnological and medical industry rely on diamond tools in their various manufacturing processes. As such, the diamond tools manufactured by Taiwan Asahi Diamond Industrial Co., Ltd. will enter the phase of high precision and high growth following technological advancements.